Stimulates visualization of this life and past life scenes, evokes visions from lifetimes on other planets. Promotes awareness of the beauty of the Earth. Aids in the ability to visualize and meditate, stabilizes creativity and brings new ideas for artists, can open artist blocks, aids in drawing and painting. 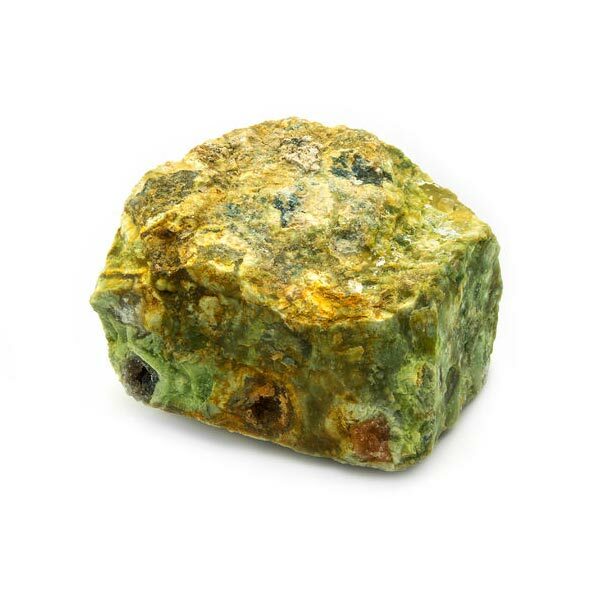 Rhyolite, the name, originates from the Greek Rhyz which means "stream of lava". 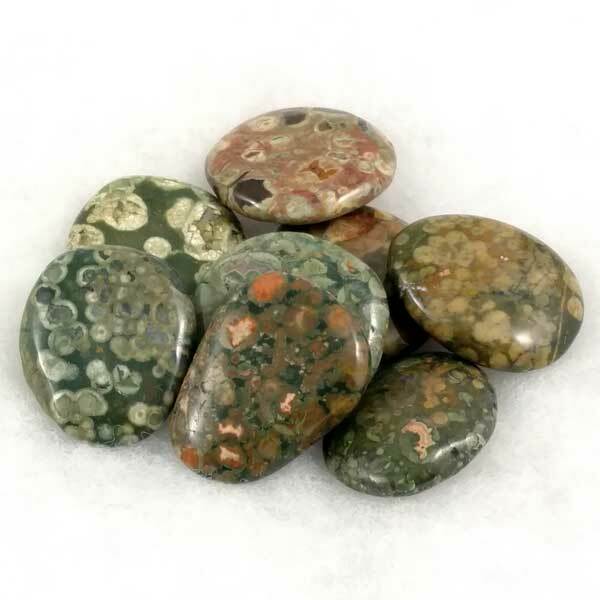 Because of its make-up it is many times placed in the Jasper family and depending on where it is harvested (which relates to coloring) you may find it listed as orbicular jasper (contains chalcedony inclusions) or leopard skin jasper (contains glassy or sandy colored inclusions). Rhyolite is generally worn on the body. I have found it most beneficial used as a pendant around the heart area. Rhyolite has the interesting effect of strengthening your existing spiritual state and clarifying it without, however, effecting any changes. Rhyolite fortifies our self-respect and feelings of self-value. It can help to accept yourself as you really are and have an emotionally balancing effect. 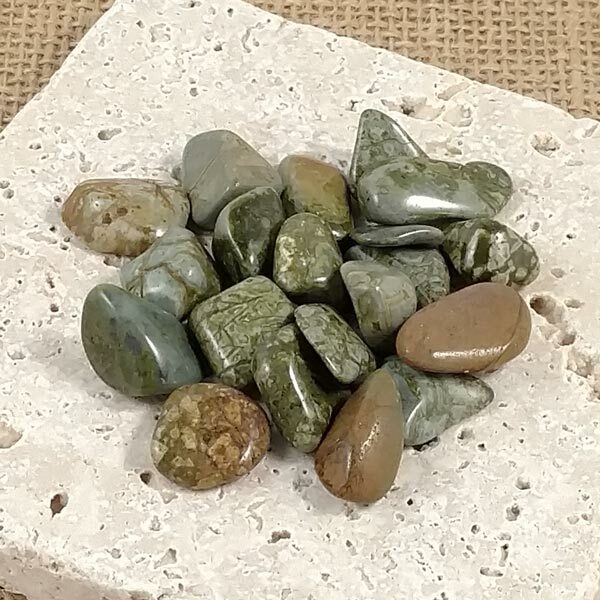 Rhyolite helps to deal with strenuous life situations in a calm and concentrated manner and provides awareness of our own strength. Rhyolite fortifies our natural resistance. Due to its make-up, it helps with skin diseases, hardened tissues and the formation of stones. Rhyolite has a Receptive and Projective energy, is ruled by Venus and Mercury and is an Element of both Earth and Air. It is a good stone for artists and those in fields where creativity is required. Rhyolite has been used by Egyptian kings with various symbols carved into pieces worn on breast plates. Some Native American tribes used to call it the "rain bringer" and utilized it in rain attracting ceremonies. It was also used by early inhabitants of the US in divination.